I t was a pleasant Spring day in April of 1926 as Eben and Sarah Kent chugged along a country road in their Model T Ford. Eben, dressed in his favorite straw hat and overalls, was driving, and Sarah sat beside him in the passenger seat, her shawl wrapped around her shoulders. They were on their way home to their little farmstead, having just visited a neighbor for the afternoon. The old car, a 1918 model, rattled and creaked from half a dozen places as it bounced along. Eben had bought it used for a song from a neighbor just a year before. Today he had the canvas top down, as the weather was warm and sunny. Abruptly Sarah put her little finger in her right ear, shaking her head as she did so. "Must be gettin' a head cold. Got a funny ringin' in my ears," she said. Eben craned his head up and looked at the sky. "Ain't only your ears," he replied. "I hear it too!" "You do?" Sarah said. She was surprised that Eben heard the strange, high-pitched whining noise too. The sound slowly got louder and louder. "Eben, it's gettin' louder!" Sarah shouted, a pained look on her face. "What is it?" "I dunno!" was all Eben could say in reply. Now he was shaking his head too. The sound reached a crescendo as a strange, silvery-looking object suddenly passed almost directly over the Kent's car at high speed. Eben jammed his foot down on the car's brake as Sarah closed her eyes and covered both her ears with her hands. The car jolted to a stop in the middle of the road. There was a thunderous booming sound as the strange object that had just gone over their heads hit the ground in a small clearing only a short distance from their car. Eben stared. "Sarah, look!" he exclaimed. Sarah uncovered her ears and looked up. "Merciful heavens!" she cried out. The silvery object, whatever it was, was now sticking up out of the ground, its nose buried in the dirt. It was about six to eight feet long, and sported small tail fins on its rear end. Flames were now licking at it, and it hissed furiously, like compressed gas leaking from a punctured container. Overwhelmed with curiosity, Eben threw his car door open and jumped out of the vehicle. He started to run toward the burning object. Sarah climbed out of the car too, but did not follow. She remained standing next to the car. Eben tried to approach the burning cylinder, but the flames around it started to leap higher, and the heat forced him to backpedal a few steps. T he faint sound of a baby crying could be heard above the crackling flames and hissing gas. "Eben, what is it?" Sarah called to her husband. Eben held one hand in front of his eyes as he continued to stare at the burning object. "Looks like one of them new-fangled rockets!" Eben called back. The sound of a baby crying grew louder. "There's a baby in it!" Eben announced. A look of horror crossed Sarah's face. "Land sakes alive!" she exclaimed. Eben tried to slowly move closer to the burning rocket. "You can't do nothin', Eben!" Sarah shouted at him. "You'll get burned!" Eben reached into his back pocket and pulled out a pair of workman's gloves. "Got to do somethin'!" he shouted back. He started to shovel handfuls of dirt off the ground onto the rocket in an attempt to smother the flames. The flames subsided somewhat, enabling him to edge closer. When he was close enough he started to kick at the rocket with his heavy work boots. Miraculously, the tail section of the rocket split apart from the rest of the cylinder, almost as if it had been designed to do as much. Eben stepped even closer and cautiously reached into the rocket with his gloved hands. He pulled a small bundle out. Just then the flames around the rocket started to flare up again. He jumped backwards. Turning, he trotted back to Sarah and handed her the bundle. "Here!" he said. He ripped off his smoldering gloves and threw them aside. Sarah unfolded the blanket surrounding the small bundle. Inside was a whimpering baby! Eben stared. "Burned much?" he asked. "Not burned at all!" Sarah exclaimed. "Blanket's not even scorched!" Suddenly there was a loud explosion. Eben turned to stare at the spot where the burning rocket had been. Sarah looked up. There was nothing left of the rocket now except a burned-out patch of ground, with some small flames still flickering around its perimeter. "... Like it was never there!" Eben added. Sarah looked back down at the baby's face. "But the baby, Eben!" she said. "We can't be dreamin'! The baby's real!" Eben studied the small bundle, smiling. "Real as rain -- and just as pretty!" he said. But then a frown suddenly crossed his face. "What do you reckon we oughta do with it, Sarah?" Sarah thought for a moment. "Well, I suppose we oughta turn it over to the authorities ..."
Eben looked at her. "I suppose so. ... But who's gonna believe all this? We got nothin' t'show but the baby and a wild story! They'll say we're crazy!" Sarah's expression suddenly changed. "Eben, let's keep the baby!" she said. "We always wanted children of our own! You think maybe we could just keep it, and bring it up like our own?" Eben started to shake his head. Well, now, I dunno ..." he stuttered. "We could bring it up good, Eben!" Sarah continued, now getting into the idea. "Well, I reckon we could ..." Eben observed. "Then we can keep it?" Sarah replied, a hopeful smile on her face. Eben put that look of amused resignation on his face that he always did when Sarah pleaded with him for something she really wanted. Up to now they had not been able to have children of their own, and now it seemed like Heaven itself had somehow stepped up to solve their problem for them. "We'll try, Sarah," he said. "We'll sure try ..."
Sarah and Eben named the boy they had found Clark, which was Sarah's maiden name. They explained the baby to their friends and neighbors by saying that someone had left it on their doorstep one night, without any explanation, and that they had found it the next morning. Since Sarah had been unable to have any children of her own, they had decided to keep the baby as their own. O ver the next few years the baby began to grow, and along the way Sarah and Eben noticed some odd things. Like the time the child stuck his hand into the pot-bellied stove that heated their kitchen and escaped with no burns at all. (This recalled the fact that the baby had endured the flaming rocket they had found it in without suffering any burns either.) It also seemed to break things incredibly easily, which indicated unusual strength. But then, in 1929, the Depression hit. 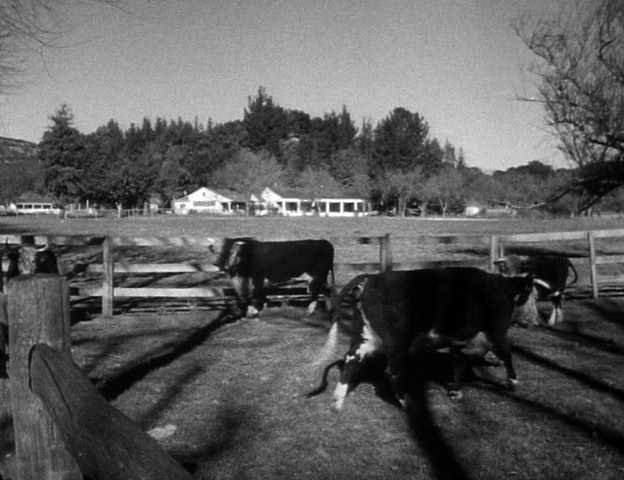 The Kent's farm was a fairly good-sized operation, what with the many horses, cattle, sheep and chickens they owned. But when the Depression hit, and the markets for these things dried up, they were forced to downsize their operation by selling off a good amount of their animals, as well as some land. But they were tough, hard-working people, and they managed to make it through the bad times without going completely under. Then, one day in the autumn of 1938, when Clark was 12, Sarah was peeling potatoes at the dining room table when she heard the front door open and close. "That you, Clark?" she called. She knew Eben was out working somewhere in the fields, so she surmised that her son had just gotten home from school. For a moment there was no response. Clark finally came trudging into the room. "Hi Mom," he said, somewhat listlessly. He kissed her on the cheek and sat down in a nearby chair, staring down at the floor and mindlessly picking at his school books. Sarah could tell he wasn't his usual self. "What's the matter son?" she asked. "Don't you feel well?" She asked that simply as a means to start a conversation going, as up to now she had never known Clark to be sick a day in his life. When Clark didn't respond, and didn't even look up, she began to get worried. "Clark, what is it?" she repeated. Clark finally looked up with a strange expression on his face. "Mom, why am I different from all the other boys?" he asked. At this question there was a very fleeting look of panic on Sarah's face. But it was quickly covered up with a nervous smile. She got up from the table, wiping her hands with a towel. "Merciful heavens," she replied. "Is that what's bothering you? You had me scared for a minute. Thought maybe you was coming down with measles or something." Actually, she wasn't even sure if Clark was capable of catching measles or not. But inside she was hoping that his mood wasn't caused by what she was suspecting. "But Mom -- why am I different?" Clark persisted. "Why can I do things that nobody else can do? Why can I run faster, or jump higher? Why am I stronger than anybody?" "You've known all them things for a long time, Clark," Sarah said, trying to make light of her son's concerns. "Why, land sakes alive, when you was a tiny little shaver no bigger than this" -- she indicated a height level with her knees -- "why, you was strong as a grown man almost!" "It's not just being strong, Mom. It's other things." S arah knew that this conversation was not going to end with a simple pat on the head like other similar conversations had. Clark was growing up, and he was now beginning to understand the fact that he was indeed different from other boys. "What things, son?" she asked. "Well, today in school for instance." "We were playing baseball, and the ball got lost. Nobody could find it. But all I had to do was look around, and there it was, behind a rock." Another nervous smile. "You've got good eyes, that's all!" Sarah said. "No Mom, it's more than just good eyes. I didn't see the ball behind the rock -- I saw it right through the rock! Like my eyes were an x-ray machine. Like the rock wasn't even there!" A look of tired resignation suddenly came across Sarah's face. She had known for some time that this conversation was coming, and even though she had once again tried to wiggle out of giving Clark a straight answer concerning it, she knew that this time nothing less than being absolutely truthful with her son was going to work. She came over to where Clark was sitting, propping herself on the arm of his chair. She put her arm around his shoulders. "Son, your Pa and me have been meaning to have a talk with you," she began. "Somehow we just never got around to it. Looks like now the time's come. I'll tell you why likely you're different from other boys. And why you've gotta be extra careful." Clark looked up at her, suddenly interested. "'Bout twelve years ago, son, your Pa and me were driving along down by Jones's farm, and all of a sudden we seen something up in the sky. It was making a terrible noise that almost shattered our eardrums ..."
Sarah went on to explain how they had watched the small metallic rocket crash into the ground and burst into flames, and how Eben had pulled Clark out of the burning projectile. "But Mom -- where did the rocket come from?" Clark asked, when Sarah was finished. "We don't know, Clark. From some other country, I guess." "But that still doesn't explain why I'm so different from other boys," Clark persisted. "No, not completely. Maybe someday we'll learn where your rocket came from, and we'll learn the answer to that. But until then, you got to be careful not to let on to other people that you can do things they can't do. It might frighten or confuse them." Clark nodded, but this explanation really didn't satisfy him much. In fact, it raised far more questions to his mind than it answered. Late that night, long after Sarah and Eben had gone to bed, Clark got up and quickly dressed himself. Stealing downstairs, he carefully let himself out of the front door and started walking down the road in front of the Kent farm. There was no moon, and the countryside was pitch black. But Clark didn't need moonlight to see where he was going. Another ability he had found that he possessed was that he could see perfectly well even in total darkness. He followed the road down to Jones's farm, and walked out into the small field that Sarah had described as being where his rocket had touched down twelve years ago. Using his amazing x-ray eyes, he searched the ground for a clue. After about a minute he found some small pieces of what appeared to be metal fragments buried around a particular spot. Clark bent down and dug into the ground with his hands, exposing some of the metal fragments. He examined them. He was no metals expert, but the pieces seemed to be made of some strange kind of alloy that he had never seen before. He kept looking and poking around. Finally he found something significant, buried about six inches into the ground. It was a small metallic object about five inches long and four inches wide. It was oval in shape. He dug it out of the ground and stood up, holding it up to his eyes and peering curiously at it. 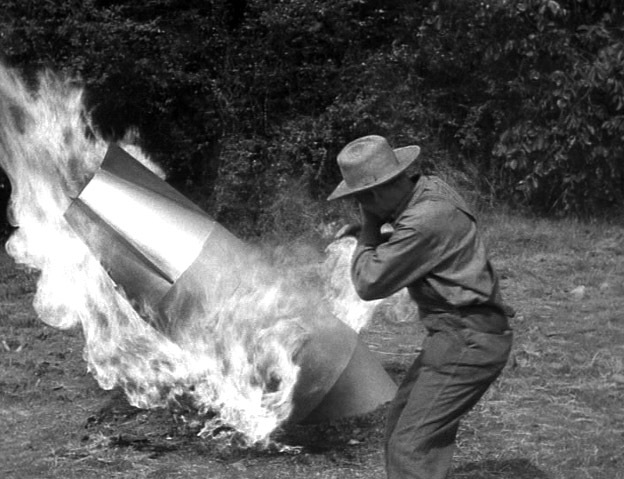 L ike the blankets he had been wrapped in, the object had not been burned by the fire that had consumed the rocket (which had apparently been designed to destroy itself after landing). The object was not even scorched. Though he tried to look inside the odd object with his x-ray eyes, he found that he could not. He could not see inside it. He shook it. He couldn't tell if there was anything inside it, or if it was solid all the way through. The only marking on the object was a small relief on one side that looked like a hollow diamond. Inside the diamond shape was a circular relief that resembled a flaming sun. Clark held the object up to his ear to see if it was making any kind of a sound. Suddenly, he found very distinctive images and sounds being flashed directly into his brain. Immediately he pulled the object away from his ear. The images and sounds disappeared. He tried to comprehend what he had just experienced, but he had no way to explain it. Not knowing what else to do, he stuffed the object into his jeans pocket and turned and ran home. Clark did not tell his mother or father about what he had experienced at Jones's farm. When he had arrived home that night he had quickly hidden the object he had found at the bottom of one of his dresser drawers, and had not looked at it or touched it since. It was now three days later. Clark had just gotten home from school. His father, as usual, was out working in the fields. His mother, after greeting him, told him that she had to go into town to buy some things for dinner. Now he was alone. His thoughts returned once again to the mysterious object hidden in his bedroom. Hesitantly, he climbed the stairs to his room and went over to his dresser. Carefully he uncovered the object he had found and held it in his hands for a moment, staring at it. Working up his courage, he once again placed the object up next to his ear. O nce again the strange sounds and images filled his brain. A deep, manly voice that called itself Jor-El told Clark that his birth name was Kal-El, and that he was Jor-El's son. 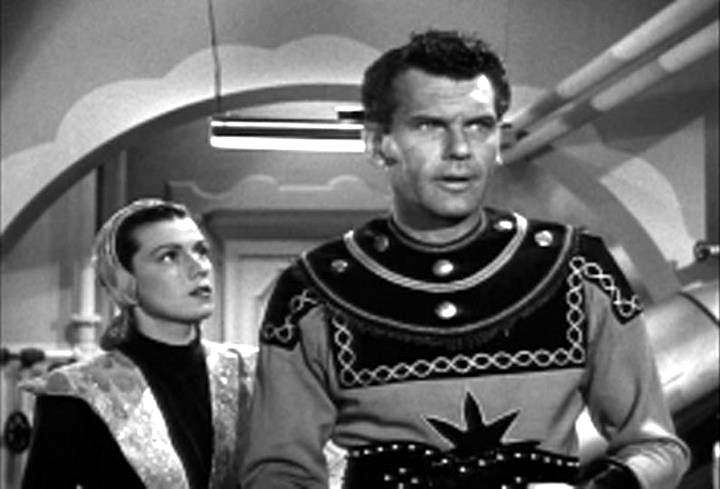 Clark could see Jor-El's image in his mind as the voice spoke. The voice told him that his mother was Lara, and that Jor-El was a prominent scientist on the planet Krypton, a huge world located in another solar system many light years from the earth. It went on to give a brief overview of Krypton's history, describing the planet's people as "a race of supermen and women, like earth people, but advanced to the absolute peak of human physical perfection". Krypton's civilization was also highly advanced, where war, crime, and serious conflict had been virtually eliminated some time before as a result of a diligent planet-wide pursuit of universal truth, moral justice, and mutual cooperation. 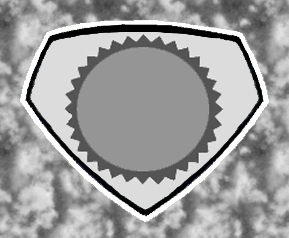 The object also explained the symbol that was etched on it: the diamond shape, in the Kryptonian language, represented Krypton, and the blazing sun icon within it was the symbol for the house of El, of which Jor-El was a part. The object then went on to describe the destruction of Krypton due to its being drawn into its sun, and Jor-El's attempt to save his son by placing him in an experimental rocket and launching it to earth before the end came. Then the images in his brain stopped. Clark lowered the object from his ear to drink this all in. So he wasn't from earth at all. He was from another planet entirely, where his superhuman abilities were normal. Now he knew why he was different from other boys. Suddenly, as Clark watched, the object in his hand slowly collapsed in on itself, disintegrating into dust. Now that its job of telling Clark who he was was finished, apparently it had been designed (like his rocket) to self-destruct, leaving little or no physical trace of Clark's interplanetary origins behind. Clark decided not to tell Sarah and Eben what he had learned from the Kryptonian object. They were simple people, and Clark reasoned that they probably would not be able to comprehend that he was really a being from another planet. Besides, they didn't seem to really care where he had come from, or why he was different. They sincerely loved him, and treated him as if he was their own son -- and his actual origin didn't seem to matter all that much to them. So Clark decided to leave well enough alone by not telling them what he now knew. But now that he knew what made him different from other people, he resolved to be even more careful than before to not let anyone know that he had powers and abilities far beyond those of ordinary men. He knew that such a revelation would cause people to focus unwanted attention on both him and his parents. Eventually people might even realize that he was not a native of the earth. That disclosure would certainly be disastrous for both him and his parents. He knew that if that fact were to come out he would never again be able to live any kind of a normal life. Nor would his parents. So he had to make sure that that information never became known by anyone but himself. The years passed. Clark used his superhuman abilities whenever he could to help other people, as his parents had taught him to do -- but he always did it in such a way that his superhuman nature was never revealed. 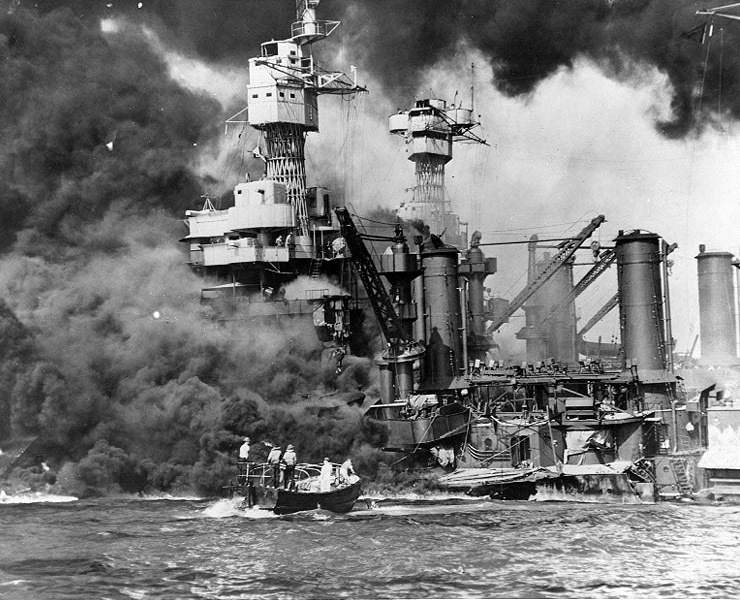 Then came December 7, 1941, and suddenly Clark's adopted country was at war. Every day Clark followed the news of the war closely, reading the newspapers and listening to the radio in the evenings for all the latest developments. The Kents did everything they could to help the other local Smallville families who were affected by the draft. In particular they took a nearby family, the Harrisons, under their wing. The Harrisons lived just down the road, and they had an five-year-old son, Billy. Billy's father Bill was drafted into the army soon after the war began, and he was subsequently shipped overseas to Europe. This left his young wife, Emily, in desperate financial straits. So the Kents decided to unofficially "adopt" Emily and Billy, providing them with food and supplies as they needed them. Clark often went over to their house to do small repairs around their home, and he became somewhat of a "big brother" to Billy. 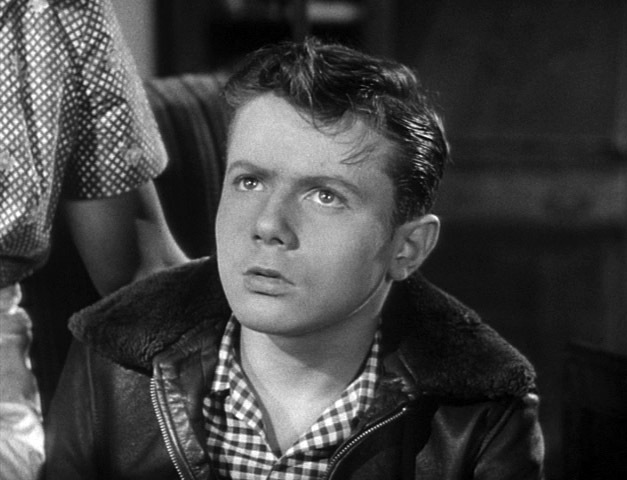 The next big change came about in Clark's life in the summer of 1943, when he was seventeen. One evening the family was sitting listening to the radio, when a news flash came on that informed the listeners that the Smallville bank had just been broken into by thieves, and the bank's safe had been emptied of its contents. At this announcement Clark stood up. "I've got to do something about that!" he said. "What little money the residents of Smallville have was in that bank!" "But son," Sarah responded, "what can you do? That bank is on the other side of town, miles away! You could never get there in time to catch those crooks!" "But, Ma, I've got to try!" Clark told her. At this Clark rushed out the front door and stood on the front lawn. Ever since he had been a small boy he had had an extraordinary ability to leap great distances and heights. When he was in his early teens he had already been capable of leaping more than an eighth of a mile. But this time he had to cover over five miles. Could he possibly cover that kind of distance in only a few minutes? Determined to try, Clark took a long running start and then, utilizing the incredible strength of his powerful leg muscles, he leaped up into the air. H e soared up over the other farm fields of rural Smallville. Fortunately the darkness made him virtually invisible to anyone on the ground. But he was amazed to find that he was now actually flying through the air, like a human missile! By angling his arms and body he found that he was able to control the direction in which he flew. And by concentrating, he was even able to control the speed of his flight. For a moment, reveling in the incredible feeling of freedom he was experiencing, he forgot why he had jumped up into the air in the first place. But then reality set back in. He angled himself toward the part of town where the bank was. When he reached that part of town he spotted a car heading away from the bank at high speed. At this time of night there was no one else on the roads. He surmised that this must be the getaway car. Two police cars were also now following the getaway vehicle, a mile or two behind it. He followed the getaway car as it sped out into the surrounding countryside. All at once the car pulled off the road and into a thicket. Once the car came to a stop, the two occupants jumped out of the vehicle. To Clark's astonishment, he observed that the two men were wearing full diving suits, metal helmets and all! The two thieves headed for the nearby river as fast as their bulky suits would allow. The two police cars were still a mile or so behind them. The criminals wobbled up to the river bank and then jumped into the river, just as the police cars pulled up to the riverbank. Clever, Clark thought. Now the two thieves can take their time escaping downriver somewhere, possibly miles away, and then come up after the police have completely lost their trail. Clark angled himself downward and dove into the river beyond the sight of the Smallville police officers, who were by now standing along the edge of the riverbank wondering what to do. Because of his great physical strength, Clark could move much faster underwater than the crooks could. He could also see much better. Within a minute he was able to catch up to the diving-suited men. Coming up behind them Clark grabbed each of the divers, one at a time, and mightily heaved them upward. Up on the riverbank, the Smallville police were astonished to suddenly see the two crooks fly out of the river and land on the soft sand right near their feet! The situation neatly taken care of, Clark proceeded a short distance down the riverbed before he exited the water. Once again, taking a good running start, he leaped up into the air and soared up into the night sky. When the summer of 1944 finally rolled around, Clark received his letter in the mail instructing him to sign up at his local draft board. He had just turned eighteen the previous April. "I don't know what to do about this," Clark told his parents one evening, as they were all sitting around the dining room table together after the dinner dishes had been cleared. "I firmly believe that the Nazis and the Japanese are wrong in what they're doing -- and that we should be fighting them. But on the other hand, I have sworn never to use my superhuman abilities to take a human life." "Of course you should obey the law, son, and register at the draft office in Smallville," Eben said. "As for the rest, maybe you could ask for a deferment as a conscientious objector. Or maybe because you work on a farm and have an agricultural occupation. After all, we supply the local military base outside of Smallville with a lot of crops and beef they use to feed their recruits. We couldn't do half of what we do without your help." "Maybe, Pa. But I can't help thinking that, with my abilities, I could do something definitive to help end this war -- maybe even capture Hitler himself, and turn him over to a world court to be tried for his crimes!" Eben looked thoughtful. "Son, I understand how you feel," he finally said. "But, despite your incredible abilities, you're still only one man. Besides, this isn't your war. It's our war, and we need to win it on our own. It wouldn't be right for you to do this for us -- this is something we need to do for ourselves. You can be a great help to the world, son -- but people can't always be depending on you to keep their own house in order." Clark listened to his father's advice, and he understood. Fortunately, the local draft board did indeed see fit to issue Clark a deferment for his deeply-held objection to killing, and his agriculturally-related occupation. But he still kept close attention to news of the war front, often wishing that somehow he could be there too, to help his fellow Americans resist the Axis tyranny. Now it was mid-December, 1944. Clark had just returned home from having taken a load of firewood over to the Harrison's home. Little Billy was now eight years old. 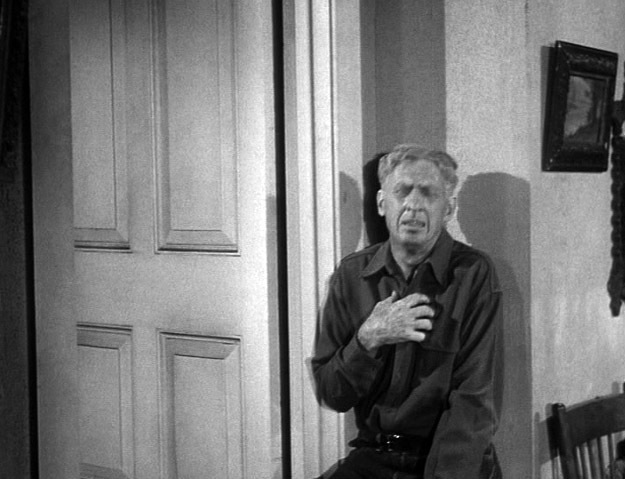 "I really feel sorry for Mrs. Harrison and Billy," Clark confided to his mother. "They've been so long without Bill, and they're really feeling it, with it being so close to Christmas and all. They haven't seen him for almost three years now." "I know, son," Sarah replied. "It's a cryin' shame that so many young families have to be separated for the holidays like that, but it's what we as a country have to do. It's just too bad that there are people in the world like Hitler and Mussolini and that Hirohito person that feel they have to fight with their neighbors in order to take things that don't belong to them. If only people could learn to live with one another, instead of always trying to take what someone else has." Clark shook his head in agreement, but inside he wished there was something more he could do for the Harrisons. After dinner he excused himself and went up to his room. Once there he didn't bother to turn the light on. He just sat down in a chair and stared out his bedroom window at the sun, as it slowly went down below the horizon behind the farm fields of Smallville. He thought about the great civilization that had once existed on his home world of Krypton, and how they had found a way to live in peace and harmony with one another. He was glad to be on earth, and he sincerely loved Eben and Sarah. But at the same time he found himself having great pride in the highly-advanced race that he had sprung from. That made him want to do the very best he could to carry on the values and legacy of his home planet here on the earth. More specifically, he also wanted to help the Harrisons -- especially since Bill was over in France, serving on the front lines and putting himself in danger almost every day in order to protect his family and his country. Clark felt bad that, because of his special circumstances, he was unable to help the GIs on the warfront more directly than he was. Suddenly, Clark got a bold idea about something he could do. Clark was up early the next morning, and after eating a quick breakfast he told his parents he needed to go over to the Harrison's home again to fix something. He quickly headed out the door. Clark made a beeline over to the Harrison house. Once there he told Emily that he was on his way into town, and that he just stopped by on the way to see how she was. Little Billy was in school. "Do you have a Christmas card made up for Bill?" Clark suddenly asked. "Why, yes," Emily replied. "You know I make one for him every year. But because of him constantly moving around Europe, and the unreliable mail delivery overseas, he usually doesn't receive them until weeks, or even months, later." "Have you mailed it yet?" "Emily, if you let me have it, I have a way to get your Christmas card directly to Bill in time for Christmas this year," Clark told her. Emily stared at him. "You do?" she said. "How -- "
"Please, don't ask me how," Clark replied. "Just trust me when I say I will see that your card will be put directly into his hands this year before Christmas is over. That's a promise." Emily just looked at him for a moment. Then she got up from her chair and walked over to the fireplace in her small living room. She took a sealed card off of the mantle piece, and brought it over to Clark. She slowly handed it to him, a puzzled look on her face. "Thanks, Emily," Clark said, stuffing the card into his shirt. "You won't be sorry." After leaving Emily's house, Clark went into Smallville to a small military surplus store located on Main Street. There he bought a complete combat outfit, minus the helmet. Going back to the Kent farm Clark walked out behind the house and donned the soldier outfit. He headed out into the middle of the farm field. Then he stopped, turned, and faced directly east. He noted the position of the sun, and then started running. After a few yards he leaped up into the air. He soared up over the scattered clouds. Clark concentrated, increasing his speed exponentially. He continued to increase his height as well. He had never attempted to go this fast, or this high, before. Before long he was up to 50,000 feet -- well above the height that most planes could fly. He estimated his speed to now be close to Mach 2 -- or over 1300 miles per hour. He reached the Atlantic Ocean a little over an hour after he had set out. It took him over two more hours to reach the coast of England, and another hour to reach France's interior. Estimating where Bill might be in France based on his last letter to Emily, Clark finally arrowed downward. He landed behind a bombed-out building in a small French town that had recently been bombarded by both the Germans and the Allies. Unfortunately, once he was on the ground he realized that his clothes were now in tattered shreds because of the heat generated by his great speed, and the various other weather elements at high altitude. 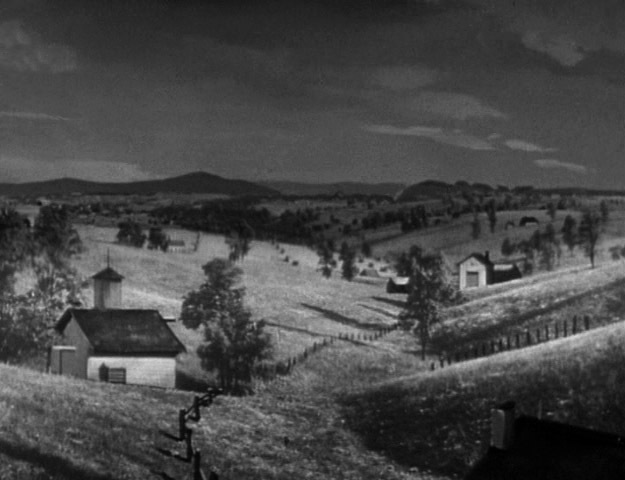 Nevertheless, Clark proceeded through the deserted town. Before long he came upon a small platoon of American soldiers that had set up a base in the town to insure that the Germans would not return there. He brazenly walked up to a sentry keeping watch. "Great Scott, man, what happened to you?" the sentry gasped, upon catching sight of Clark. "I was, uh, separated from my outfit during a nasty skirmish," Clark replied. "I guess my clothes got pretty beat up in the process. Do you know where I can get some new ones?" "Yeah, sure," the sentry replied. He pointed behind him. "That building over there." Clark thanked the man and headed into the structure. The platoon had set up a temporary supply depot there. Clark approached the man who seemed to be in charge. "This where I can get a new set of clothes?" Clark asked innocently. "Good Lord!" the man replied. "What were you doing, fighting in a hurricane?" "Yeah, you might say that," Clark responded. The man proceeded to issue Clark a new set of clothes. "You need a new rifle?" the man asked, noticing that Clark was not armed. "No, that's all right," Clark told him. "King Company. Do you happen to know where they are right now?" "Yeah, they were here yesterday. You'll probably find them somewhere down the road out of town to the north." Clark took the clothes and went outside, changing in a small alley. He even had a helmet this time. Once he was again presentable, he walked out of the alley and headed in the direction the supply sergeant had indicated. He had proceeded a few miles when he decided to use his amazing vision to see if he could spot Harrison's squad. He peered down the road with his telescopic vision. A few miles ahead he could see another small French village. It was presently under attack by German forces. He was also able to spot Bill Harrison, flattened against a wall that bordered what was left of the town's main street. 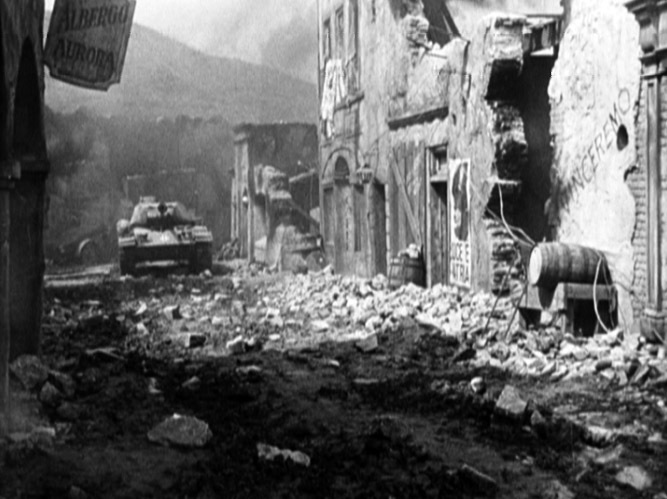 And a German Panzer IV tank was coming down the street directly toward him! Clark leaped up into the air. Within a minute or so he came upon the embattled village. Night was beginning to fall as he soared downward and landed in the middle of the village street a short distance ahead of the tank. Bill Harrison crouched only a few yards behind him. Harrison couldn't believe what he was seeing. First a nondescript GI came hurtling down out of the sky to land right in front of the advancing German armor. Then the tank fired its machine gun at the GI, but it appeared to have no effect upon him other than ripping his clothes. Then, as the tank bore down on him, the GI placed his hands against the front panel of the vehicle and shoved. The front of the 24-ton tank angled upward. With an amazing display of strength, the GI pushed the tank upward until its cannon was pointing straight up in the air. Then the tank fell over backwards, landing heavily on its turret, upside down. Its treads spun helplessly, like an upended turtle. Bill Harrison stared in astonishment. He had never seen anything like this in his life. Suddenly the GI turned and came over to him. Harrison could not see the man's face clearly, as he had his helmet partially pulled down over his forehead, and the evening shadows were now making it difficult to see. The man slipped something into Bill's hand. Then he ran off into the deepening darkness. Bill looked at the object he held. It was a sealed Christmas card. A t the Harrison's home back in Smallville, at that very moment Emily was helping Billy to decorate the huge Christmas tree sitting in their living room that Clark had provided them with the day before. Emily deliberately put on a happy face for Billy's benefit, but secretly she was seriously hurting inside. This was the third Christmas that they would spend without Billy's father, and the strain of worrying about Bill and his safety day after day was becoming almost too much for Emily to bear. As Billy continued to decorate the tree, Emily excused herself for a moment and went into her bedroom. 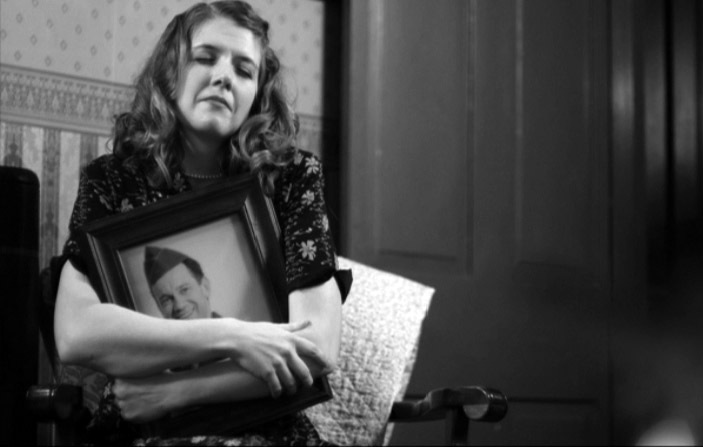 She picked up the framed photo of Bill on her dresser and sat down in a chair, wrapping her arms around the photo. Perhaps next Christmas, she thought, the war will be over, and we will all finally be together once again. The following summer the war finally did end. Partially because of what Clark had done Bill was able to return safely home, and the Harrison family was finally reunited. A few years later, Sarah was fussing about the house one afternoon when Clark came in the front door. His clothes were all ripped and slashed. "Good Lord!" Sarah cried when she saw him. "Clark, what happened to you?" Clark looked somewhat sheepish. "Bull got loose from his pen," he said. "I didn't have any trouble rounding him up, but as you can see my clothes came out the worse for wear." "Land sakes, son, if you ain't hard on clothes!" Sarah admonished. "Ever since you was a little shaver we've been tryin' to keep you in clothes, but it's been an almost impossible task! The only clothes you ever had that you didn't wear out were the blankets you was wrapped in when we first found you!" Clark thought for a moment. "Ma, can I see those blankets?" he asked. "Why, sure," Sarah replied. She led Clark into her bedroom and over to a large trunk in one corner. She opened the lid and took out the blankets that had been stored there. Clark examined them. There was a blue one and a red one, both quite large. There were also two other blankets colored red and yellow that were thicker and heavier than the others. They almost resembled a kind of leather, or cowhide. "Ma, you said these blankets weren't scorched at all by the burning rocket you said you found me in?" Clark asked. "Nope. After Eben pulled you out there wasn't a mark on them." Clark looked at them again. "Ma, I want to try something," he said. He turned and walked out of the bedroom with the blankets. Sarah followed him. They both went out the front door into the front yard. Clark hung the red and blue blankets over Sarah's clothesline. Then he went into the barn. He came back a moment later with a pitchfork. While Sarah watched, Clark started jabbing the blankets with the pitchfork. No matter how he tried, he could not tear the blankets. Clark threw aside the pitchfork, and then went back into the house. He came out a moment later with Eben's shotgun. "Son, what are you going to do with that?" Sarah asked. "You'll see," Clark replied. He loaded a couple of shells into the gun, and then pointed it at the blankets. Before Sarah could stop him, Clark fired both barrels of the gun at the blankets. When he was done, he walked over to the clothesline. "Just as I thought," he said. "Not a mark on them." Sarah came up behind him. "Son, what's this all about?" she asked. "Ma, you know how nothing ever seems to hurt me?" he said. "How even nails and needles won't penetrate my skin?" Sarah nodded her head yes. "Well, these blankets are the same way. Apparently nothing can hurt them either." Sarah's face lit up. "I get it, son. You're trying to tell me that if nothing can hurt those blankets, then they would make perfect clothes for you!" This time it was Clark's turn to nod in the affirmative. "But if those blankets are so tough, how am I going to cut them into the shapes I need to make an outfit for you?" Sarah questioned. "I think I have the answer to that one too, Ma. You know how I can project beams of heat from my eyes when I want to?" "Well, all you have to do is unravel the blankets, and let me cut the threads with my heat vision. Then you can sew the material back into any shape you want." "And as for the heavier blankets, they could be used to make a belt and a pair of boots for me. I'll just cut them into the shapes I need the same way." Sarah smiled. "You know, son, I think that just might work. And then you'll finally have a set of clothes that you can't destroy, no matter what!" After deciding to use the blankets for a set of clothes, Clark told his mother that he would like to draw out a rough sketch for her of the kind of clothes that he wanted. The sketch he finally gave her a day or so later resembled the kinds of outfits that Clark's people, the Kryptonians, had worn on the planet Krypton. But he did not tell Sarah that. "I've never seen any clothes like this before, Clark!" she told him when he showed her the sketch. "They look kind of like the costumes acrobats wear in the circus! Why do you want clothes like this?" "If I'm really going to use my powers to help other people," he explained to her, "then I'm going to need a completely different identity, so that no one will know that it's actually Clark Kent helping them. That way when I'm done helping people I can change back into my regular street clothes and live a normal life, without people constantly following me around and bothering me." Sarah understood this. She set to work making the uniform that Clark had requested out of the strange blankets that were impervious to all harm. Days later, when she was finally done, Clark tried the outfit on. "It fits perfectly," he said, looking at himself in a full-length mirror. He had instructed Sarah to make a tight-fitting bodysuit out of the blue blanket. He also had her make him a pair of red trunks from the red blanket that fit overtop of the bodysuit. A yellow belt was made from the heavy yellow blanket, and a pair of tall red boots out of the heavy red blanket. Finally, Clark had Sarah make him a long cape out of the lighter red blanket that attached to the neckline of the blue bodysuit. "Land sakes, son!" Sarah said. "That outfit will certainly make you stand out in a crowd!" "That's what I want, Ma," Clark replied. "When people see this outfit, I want them to know that help is on the way, kind of like the uniform a policeman or a fireman wears." "But son, you're not wearing a mask or anything. Won't people recognize who you are?" "No, Ma. I have another ability that I just recently discovered. You know that character on the radio, The Shadow, that's able to 'cloud men's minds' so that no one can see him?" "Well, I can do the same thing! I can keep people from recognizing me when I'm wearing this costume. To everyone I'll look and sound just a little bit different when I'm wearing the costume than Clark Kent does -- just enough to keep people from realizing that we're the same person." Clark handed Sarah another sketch. "I want to attach this symbol onto the shirt and cape too," he said. The sketch was in the shape of a diamond, the symbol of his home planet, Krypton. Inside the diamond Clark had drawn a large, stylized "S". Sarah looked at it. "What does the 'S' stand for, son?" she asked. "Superman," Clark replied. "That's the name I want to be known by when I'm wearing this costume." Clark had come up with the name when he had recalled one of the stories told him by the small Kryptonian object he had found where his rocket had landed. Hundreds of years before its destruction, a popular Kryptonian author had written a famous treatise about an idealized fictional person he had called "The Super-Man", a man who embodied all of the physical and moral qualities that Kryptonians admired. That character had subsequently been used as a societal role model for the kind of people that the Kryptonians eventually became. 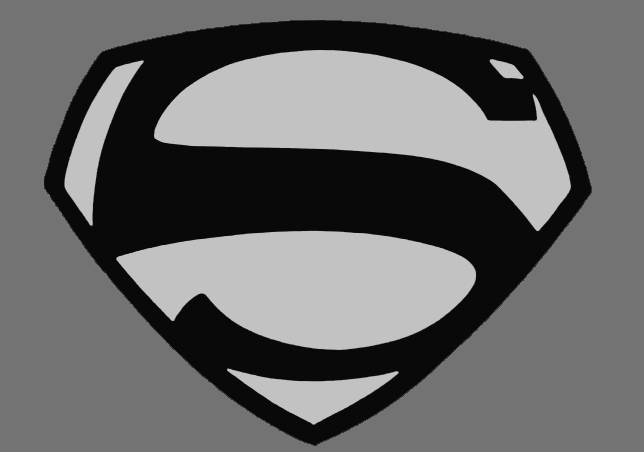 Working from Clark's design, Sarah made the two emblems that he had asked for, attaching one to the chest of the bodysuit, and one to the back of the cape. Now, Clark believed, his other "identity" was complete. Sarah flitted about the Kent living room, dusting furniture and rearranging knick-knacks. It was now the Spring of 1951, and both she and Eben had gotten quite a bit older and a bit grayer. Just then Eben came in the front door. "Gosh, ain't you through house-cleaning yet?" he teased Sarah as he passed through the room. A look of horror suddenly crossed Sarah's face as she motioned for Eben to stop right where he was. "Don't you trek any barn dirt in here!" she admonished. "Look at those shoes! And look at them tracks!" Eben looked confused. "Same shoes I had on yestiddy. And the day before, and the day before that!" Sarah grabbed a nearby broom and began to sweep where Eben had just walked.
" Well, today ain't yestiddy, or the day before, or the day before that!" she replied. "Well, what in tarnation is today?" Eben asked. "All forenoon you was a-cookin' and a-bakin' and a-fussin' around!" Sarah stopped sweeping and faced Eben. "You got no idea what this day is?" she asked. Eben scratched his head. "Well, now, let me think ..." he drawled. "Don't strain your brain, Pa," Sarah told him, smiling. "It's just twenty-five years ago this very day you pulled the baby out of that burning rocket. Or whatever it was." Eben's face lit up. "April tenth!" he said. "Land o' goshen. It plumb slipped my mind!" 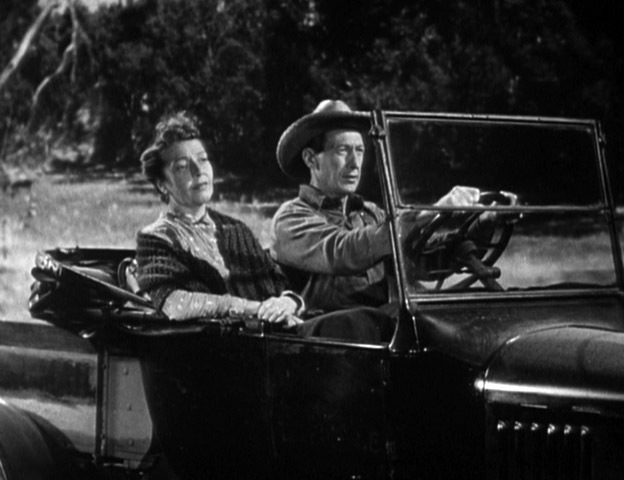 "Didn't nothin' occur to you when I asked Clark to ride into town and fetch me a few yards of somethin' I didn't need?" "Well, I kinda wondered ..."
"Had to get him outta the way while I iced the cake and tidied up the parlor a bit. A few of the neighbors are comin' in to help us celebrate." She looked at Eben's dirty overalls. "You better go get your chores done -- and change them smelly old clothes 'fore he gets back, hmm?" "Chores is done!" Eben replied. "All I gotta do now is put the tractor away!" Sarah went back to her cleaning while Eben shook his head. "Twenty-five years!" he said, half to himself. "Doggone it, it don't hardly seem that long!" He turned and headed toward the door to the back of the house. "No sir, it sure don't!" he muttered as he went. But just as he reached the doorway Eben suddenly clutched his chest and moaned. He fell backward, leaning heavily against the door jamb. A t the sound of his cry Sarah spun around. She dropped her duster and ran over to Eben. "Eben! What's the matter?" she said in alarm, grabbing him. Eben's face contorted in pain. He was now breathing heavily. "Help ... couch ..." he groaned. Sarah tried to support Eben as she helped him over to a nearby couch. She helped him to lie down on it, stretching him out. "Ring ... the ... doctor, Sarah ..." Eben managed to tell her. Sarah turned and quickly headed for the telephone as Eben continued to grimace in pain and struggle to breathe. A little while later Sarah sat in her rocking chair, slowly rocking back and forth and staring at the wall. Clark was home now, and he stood nearby, silently staring out of the front screen door. Presently the door to the back rooms of the house opened, and a middle-aged man with glasses came out. He was carrying his coat over one arm, and a medical bag in the other. He started to pull down his rolled-up shirt sleeves. S arah got up from her chair and approached him, as did Clark. "Is he ... is he all right, doctor?" Sarah asked tentatively. The doctor shook his head sadly. "I'm sorry, Sarah ..." he told her. He slowly shook his head at Clark too. As the doctor made his way out, Sarah turned to her son, tears forming in her eyes. "He was a good man, son," she said. "He was a good husband." "And a good father," Clark replied. 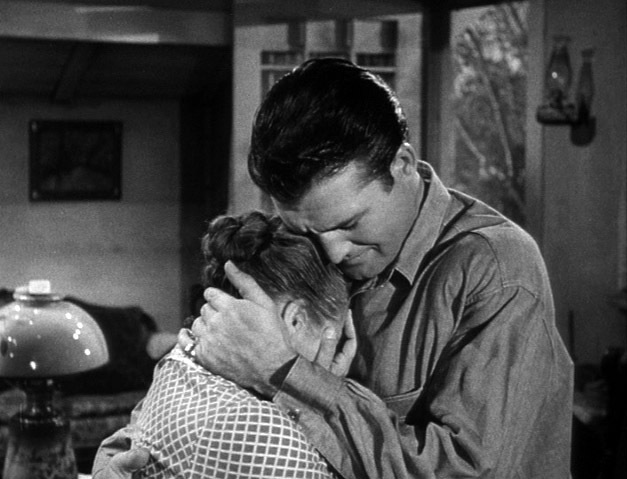 Sarah crumpled into Clark's arms, weeping. A few weeks later, a forlorn-looking Sarah sat on a bench outside the Smallville Bus Depot. 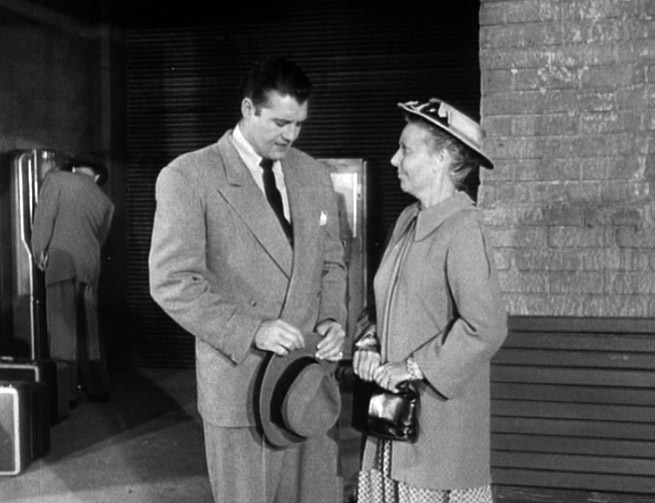 Clark, now dressed in a suit and tie, came out of the depot carrying a hat and two suitcases. He also had a pair of new eyeglasses in his coat pocket. Once he left Smallville he intended to put them on, to further help separate his Clark Kent identity from that of Superman. Sarah stood up. "Bus'll be along any minute now, Clark," she said to him. Clark set the two suitcases down. "I still hate to leave you, mother," he said. S arah smiled gamely. 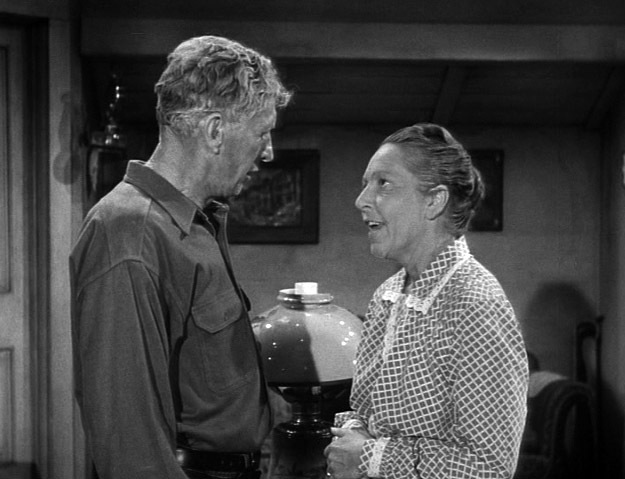 "I'm gonna be just fine, son, with cousin Edith comin' to live with me and all." She lowered her voice so that no one else would hear. "Besides, you got a great responsibility to the world, Clark. You gotta accept it. Make use of your great powers. You sure you packed that costume I made for you?" Clark smiled. "It's in the suitcase," he said. "Nothing will ever hurt it, Clark -- not acid, nor fire, nor nothin' else. It's made out of the red and blue blankets you were wrapped in the day your Pa and me --"
"I know, Ma," Clark interrupted. He didn't want Sarah to go into another long recitation of the day she and Eben found him, as she often did since Eben had passed away. "Here comes the bus," he told her. The bus pulled up to the loading dock, and the bus driver opened the doors. The sign on the front of the bus read "Metropolis". Other people standing on the dock began to board. Clark hesitated. He and Sarah embraced, and Clark kissed her cheek. "Good-bye, Ma," Clark said, with some difficulty. Sarah forced a smile on her face. "Good-bye, son," she replied. Clark picked up his suitcases and approached the bus. He put his suitcases down inside the door and turned one last time to look at Sarah. He waved to her. Sarah bravely waved back, even though inside her heart was breaking. A single tear rolled down her cheek. Clark entered the bus. The doors closed, and the bus pulled away. Sarah stood there for a long time, watching as the bus disappeared into the distance. Watch for the next installment in this series, titled "Superman's First Exploit! ",where Superman begins his super career in Metropolis. 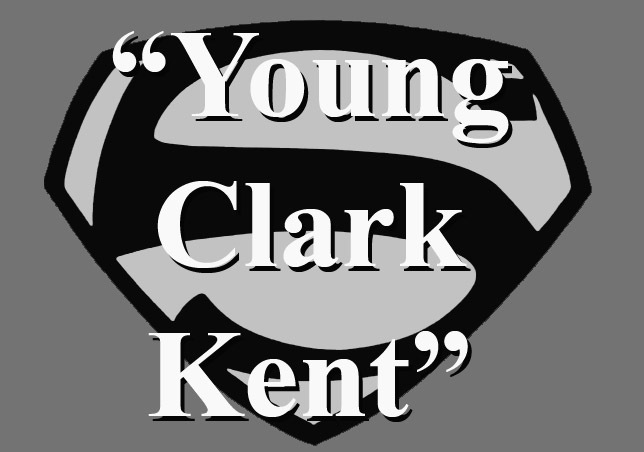 If you would like to see future installments of "Young Clark Kent", please let us know!